Looking for an everyday ride that can take you further? We have you covered! These bikes can get you “To the Grocery Store and Beyond,” from in-town adventures, to cross-continent exploration, we want to help you explore your world on a bike! We carry some of the best bike touring accessories and equipment in the world from Ortlieb, Tubus, Velo Orange, and Brooks. We can help you design and build your dream bike for adventures around the world! The Doppler is the ideal all-conditions bike for commuting, extended tours or off-road excursions! For distance riding the Doppler delivers with comfy large-volume 650b tires, full-coverage stainless steel fenders and full appointments for racks & extra bottles. The wide-range Shimano Tiagra drivetrain with 48/32T crank delivers performance on hills and headwinds, and the TRP hydraulic disc brakes stop you cold in all conditions. WTB 650b 47mm Horizon tires and Tubeless-Ready ST Light i23 rims give you a great starting point for all kinds of adventures. So get out and explore your world, and start a bike adventure habit with us this year! From LBC owner Ben: I discovered the Doppler in 2018, and immediately fell in love. The Doppler has become my everyday commuter, and long-distance fitness bike, all rolled into one beautiful package. It’s perfectly balanced, rugged, and has opened my eyes to the incredible (low traffic - maybe getting passed by five cars all day) country roads around London and area. Love our Gravel/Adventure Bikes? 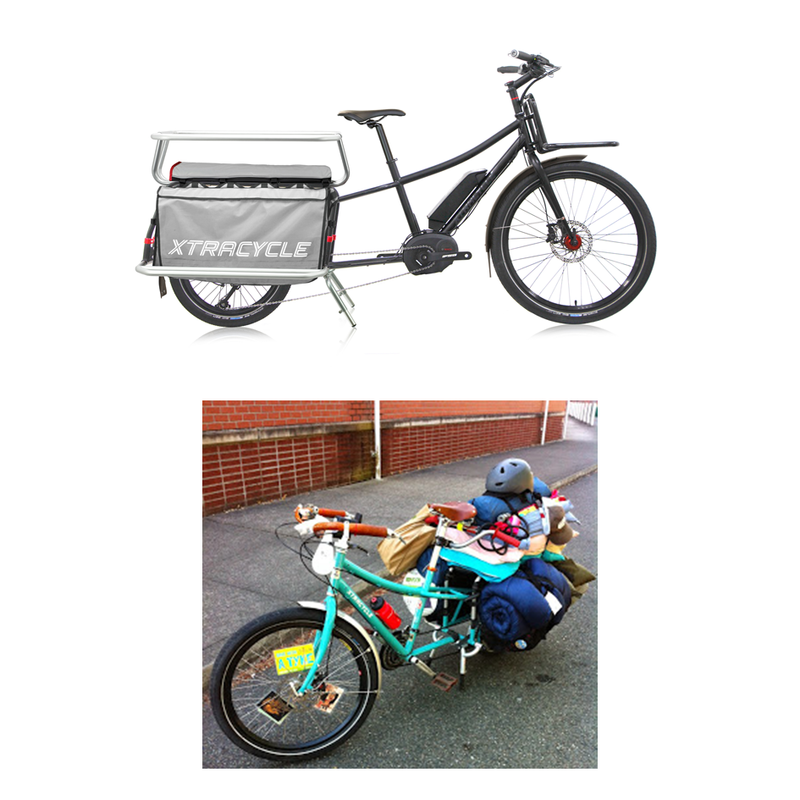 Check out our Hybrid/Commuter, Single Speed Bikes, City Bikes, Cargo Bikes, and Kids Bikes!